Over 200 examples of this design are already in service around the world . You can build the Waverunner 52 in either Ezi-build fibreglass, steel or aluminium. 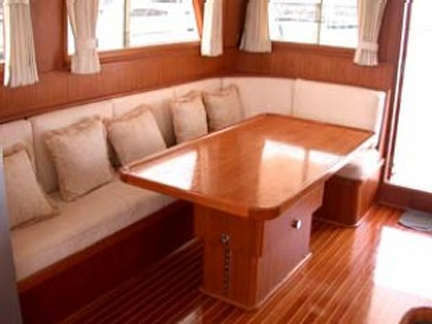 The complete boat plans and full size patterns are very detailed and any competent handyman can assemble the boat from our boat plans. Both semi displacement and planing version full size patterns are available. 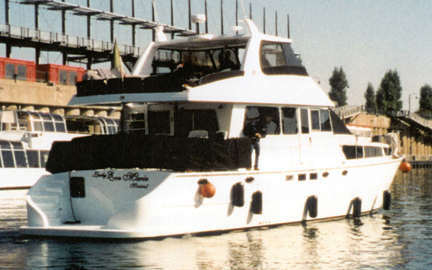 The various versions of this design can be built as either semi-displacement or planing configuration and offer several great cruising layouts. 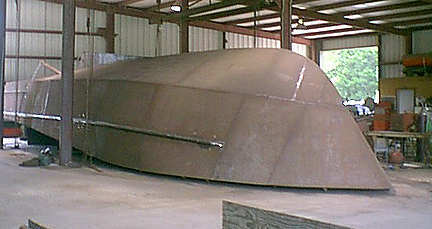 They can be built in either Steel, Aluminium or Fibreglass. The Sport Fisherman version 'D' features the well proven Bruce Roberts steel planing hull design. 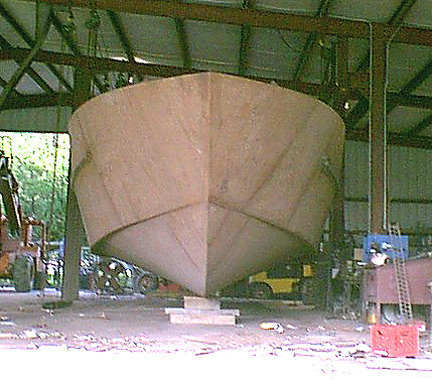 The first of this design is being built in USA will be used as a charter party fishing boat. If you wish to make this version in fibreglass we have the Cabo 50, the design after which this version was modelled. 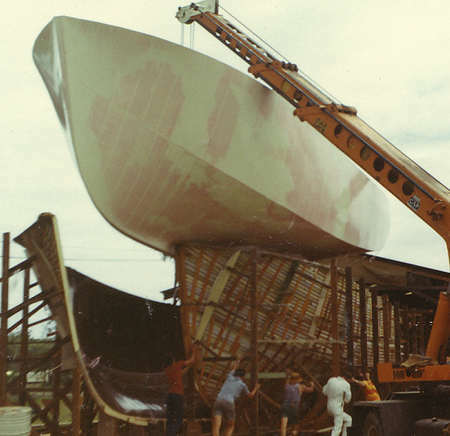 Displacement and Draft will vary slightly according to version and hull building material. 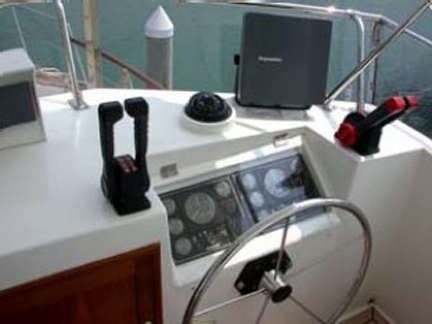 LOA 15.77 m 51' 9"
LWL 14.06 m 46' 2"
BEAM 4.90 m 16' 0"
This aft deck version is popular with those who want a walk-out salon / aft deck all on the same level. This Aft deck version was built in the UK - we were fortunate to personally inspect this fine boat. 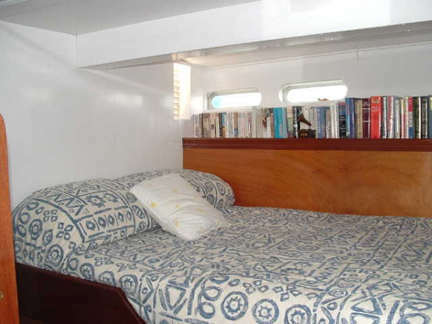 This aft deck version was built in fiberglass by her owner who contacted us to comment on his satisfaction with his boat. You can customize your Waverunner 52 and we will offer any help and advice that you may require. 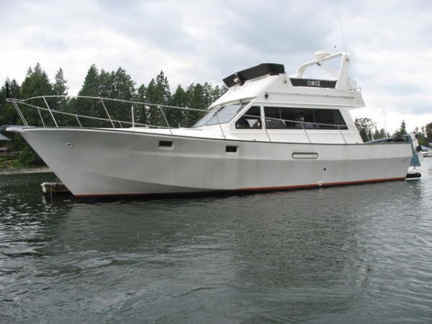 This sport fishing version is just one of the possible layouts that can be arranged for this versatile powerboat. We have steel & aluminum KITS or CUTTING FILES & boat plans available for the Atlantic 40/12m & Atlantic 50/20m sport fishermen so if you are interested in a pre-cut kit check out these designs. 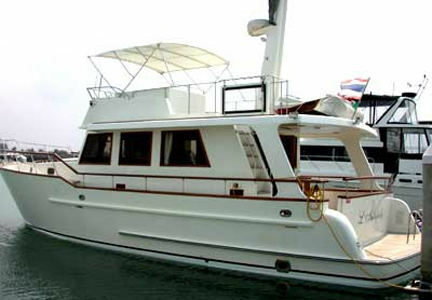 Waverunner / Sport Fisherman 52 - built by Gulf Runner Custom Yachts. 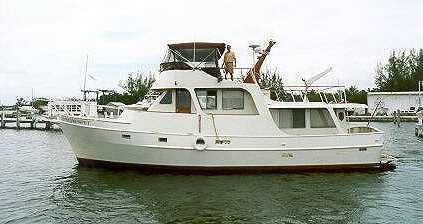 This trawler version provides a very spacious fore-deck which would be suitable for stowing the dinghy or other uses when cruising.